If your car tends to veer in one direction while you are driving on a straight road, or you notice your tire pressure monitoring system is faulty, bring your vehicle to a local, trustworthy repair shop! At Mahneke Motors, we provide Goleta and Isla Vista residents with affordable, dependable, and honest auto repair services. 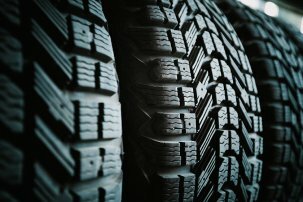 We can help with a wide variety of tire and wheel-related problems for nearly any type of vehicle—whether it be a hybrid, domestic, or foreign car. The Goleta auto repair mechanics at our shop have more than 30 years of experience and strive to provide the best possible auto repair services. If needed, we can provide local shuttle services for customers. Contact us now at (805) 681-0021 to schedule an appointment for your tire/wheel needs!